Golda Meir was an Israeli politician who became the fourth prime minister of Israel. She was Israel’s first and the world’s third woman to hold such an office. Meir was born in present day Ukraine. Her father moved to the United States in search of a job and found one in Milwaukee, Wisconsin. In 1906, Meir and the rest of her family joined her father in the United States. Meir became dedicated to the Labor Zionist movement, and in 1921, Meir along with her husband and her sister, made aliyah and moved to Palestine to join a kibbutz. In 1948, Meir managed to raise millions of dollars in support of the new state of Israel. Meir served as Minister Plenipotentiary to Moscow, Labor Minister, and Foreign Minister before becoming elected as Prime Minister of Israel. Following the Yom Kippur War, Golda Meir resigned from premiership. 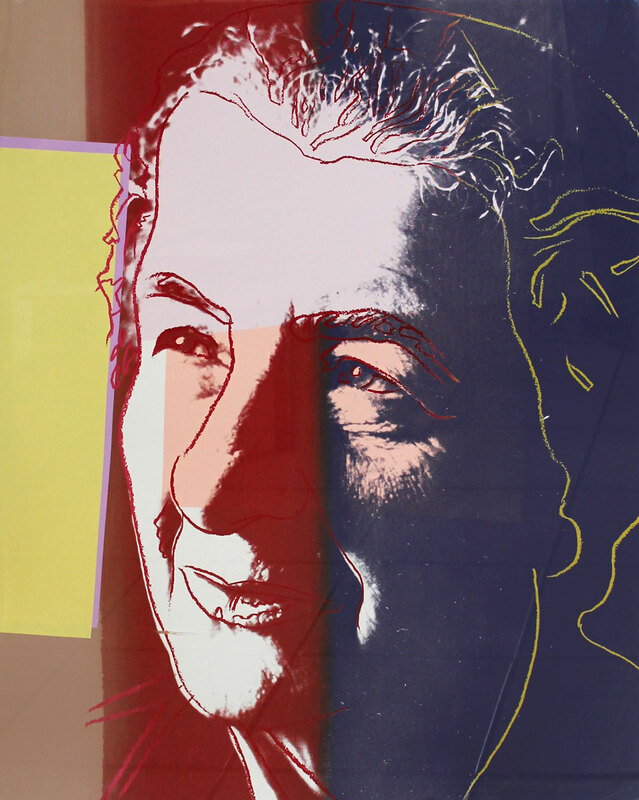 Golda is a part of Andy Warhol’s Ten Portraits of Jews of the 20th Century. Warhol was prolific in creating portraits of celebrities and was well known for his fascination with fame. It is noted that Warhol’s portraiture tends to reveal only the surface of a subject, just their image. In this series of portraits, the type of celebrity Warhol deals with is not so glamorous or typical of his usual pick of movie or rock stars.